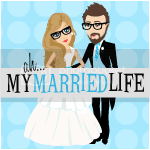 The Infertility Overachievers: A Little Infertility Update! I desperately need a break from all things related to unpacking, organizing, and decorating. 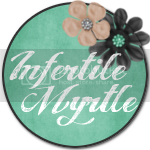 So I decided to sit down and write a little post about the other aspect of my life that I hate right now...Infertility. I called and made my first appointment with my new RE. Its scheduled for July 22 at 12:45pm. I'm pretty sure it is just going to be a meet and greet type of appointment, but at least things are finally starting to move in the right direction...forward. I really hope that at the appointment I will be able to get a formal IVF schedule for the Oct-Nov time frame. They should have that schedule open by now right? For the life of me, I can not figure out how often this Dr does IVF. My old Dr did a cycle group every month, but I have heard through the grape vine that this one only does it once every 3 months. If that's the case, I'm afraid that the fall cycle will already be full. I have two BIG things that need to happen before I can move forward with this though. I need to find someone to babysit London for me so I can actually go to the one million appointments required to do an IVF cycle. I'll either have to find a daycare that he can go to part time (and probably pay out a pretty penny) or someone that can babysit randomly for me. We live in a new place so we really don't know many people, and we know even less who I would feel comfortable asking to keep London. It looks like part time daycare might just be the way to go, but I am still pretty nervous about having to finding one. I'm still not really sure how this is all going to work out. I am sure it will though. The other big thing is that I need is to get my medical records from my last IVF cycle. I have a copy of my medical records from the Army, but there is zero documentation of me ever even doing IVF in them. So unless my Dr was doing something besides just a vaginal ultrasound down there, I am pretty sure there should be some records. Although this theory might explain why London looks more Irish than he does Puerto Rican HAHAHA. I called my old nurse today to see if she still has a copy of my protocol, E2, and u/s's. If these records don't show up soon, I might just have to take my laptop in and let my new Dr piece together the details based on my old blog posts and facebook statuses. I've heard of Dr Google, but never Dr Blogger. T-minus: 14 days until my appointment. This is a whole different kind of 2WW. On a side note..."The Infertility Overachievers" is now on Facebook. Check it out, and maybe "Like" it while you're there too :)! If I lived near by, I would totally watch London! Hopefully the Cycle appointment works out for you. Welcome ICLW and a Blog Award! Top 2 Tuesday- Things you want to purchase. A letter to my 20 Year Old Self! Stupid People Make Me Laugh!